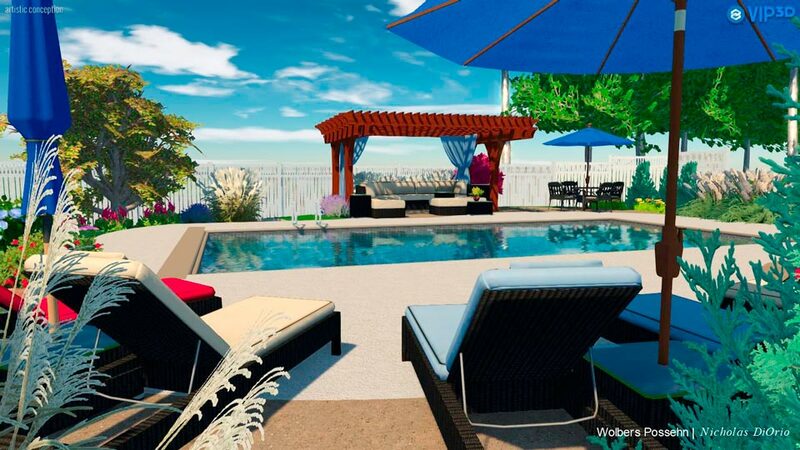 Ready to Make Your Dream Backyard a Reality? Let us Finance & Design it for You! Wherever you are in lower Michigan, and whether you want a pool, spa, patio, pond, outdoor kitchen or new landscaping, Wolbers Possehn can help you find financing for every aspect of your project, including design, materials, equipment, labor — even repair and maintenance. Our financing partner LightStream, a division of SunTrust Bank, is the nation’s premier online consumer lender. When you have good credit, you can get a LightStream loan for practically any home improvement project. So you can get your backyard project going fast! *Your APR may differ based on loan purpose, amount, term, and your credit profile. Rate is quoted with AutoPay repayment discount, which is only available when you select AutoPay prior to loan funding. Rates under the invoicing option are 0.50% higher. Subject to credit approval. Conditions and limitations apply. Advertised rates and terms are subject to change without notice. Rates as of 02/18/2016. SunTrust Bank is an Equal Housing Lender. ©2016 SunTrust Banks, Inc. SunTrust, and LightStream are federally registered service marks of SunTrust Banks, Inc. All other trademarks are the property of their respective owners. Lending services provided by SunTrust Bank, member FDIC. Interested applicants should call or drop by their office. Applications can be taken over the phone.